Blockchain has become a media buzz due to its unique and powerful qualities. While a lot of excitement exists for its use in both financial and identity applications, a new and more exciting area for this technology has emerged. 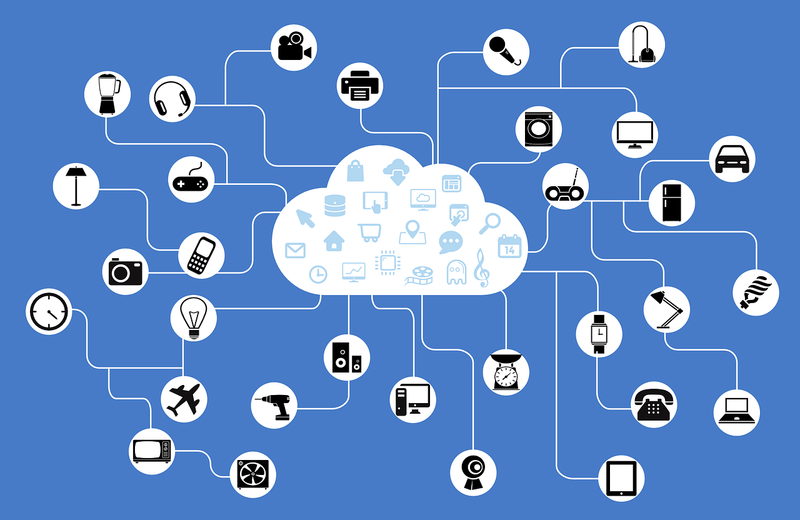 It is the Internet of Things (IoT) and Industrial Internet of Things (IIoT) which will have the most to gain from this technology. While blockchain technology possesses a tremendous amount of exciting technical features, we will focus on those that are the most desirable for today’s IoT challenges. Let’s start with Bitcoin’s extensive global blockchain ledger footprint. This ledger spans thousands of nodes across the planet. It’s a peer-to-peer network allowing software applications to send transaction messages between each other with zero infrastructure costs and near instant speeds. According to recent bitcoin statistics, average transaction speeds across 55% of the network is between 400 and 800 milliseconds. That is without using bitcoin’s newest fast-relay-network, FIBRE, where speeds can average as fast as 50 milliseconds. Leveraging such a system can save companies millions of dollars in infrastructure costs and time, providing a rapid go to market strategy. Every update to the blockchain is globally replicated with redundancy and indisputable fault tolerance. As a peer-to-peer global network, bitcoin’s blockchain has provided eight and a half years of proven, reliable transaction messaging – a feature whose need is ever increasing as we scale the number of devices for the IoT. Peer-to-peer messaging bypasses inefficient central database hops and allows efficient autonomous communication between peer devices. It is more reliable as central dependency disappears. Failure of one peer doesn’t affect the functioning of other peers. In comparison, for the case of central cloud networks, if the central servers or databases become unavailable (e.g. go down), all connected devices get affected, an effect that could disable a city full of devices or hundreds of thousands of homes. Peer device communication will quickly become the new normal for large device deployments. The security that blockchain provides for devices is unparalleled. The media has highlighted hacks involving bitcoin but, in reality, hacks that have happened were theft of bitcoin keys stored in common databases. The strength of each transaction message comes from the fact that every node in the vast network verifies message origin by means of a cryptographic signature carried along with the message. Messages originating from anywhere other than the true origin are invalid and discarded. This feature prevents known attack methods such as man-in-the-middle and replays and is a much-needed capability in IoT. The cost of regulatory compliance and the need for governance creates a tremendous burden on enterprise resources. Companies need to invest in various system products, system admins and incur added maintenance costs. With the blockchain, the message is the inscribed recording – an unchangeable record combining both features as one, creating an impenetrable non-modifiable entry. Hardened against tampering and revision, the record is irreversible even by operators of the data store’s nodes. This record is cryptographically enforced and hosted on machines running the software. The inscribing mechanism typically happens within 10 to 30 minutes of message initiation. This is extremely rapid for governance and regulatory purposes, with no further intervention, which reduces regulatory and compliance costs while achieving the highest level of governance. Using current technologies, a company like Uber or Google maintains the servers necessary to run a self-driving car. 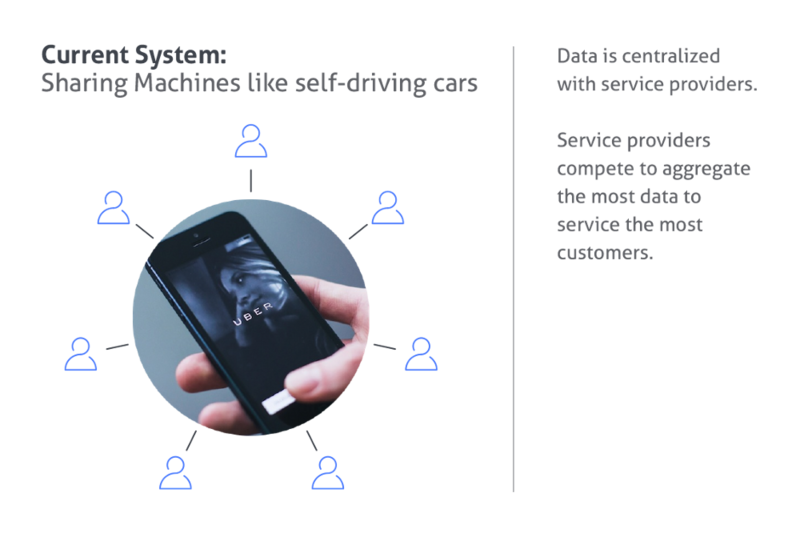 Using a blockchain-based service, any number of individuals could form an agreement between themselves to purchase a self-driving vehicle and share its maintenance amongst themselves. Each cooperative group could from contracts with other groups and share usage of their vehicles amongst a wider group of peers. Adoption in the IoT space for blockchains has been slow. Many of its technological features are not widely known and integration with such cryptographic ledgers present difficult engineering challenges. Blockchains of Things, Inc. is changing this with its introduction of Catenis Enterprise, a rapid blockchain integration platform. Andre De Castro is the CEO & Co-Founder of Blockchain of Things, Inc. He is a long-time crypto currency specialist who has an expert’s insight as to the field’s potential and is working towards making that potential a reality. Andre has been an active participant in the Bitcoin community and industry since 2010.His experience includes being a software developer, investor, trader, advisor, and U.S. policy influencer. Andre is also an avid public speaker and panelist for financial and technology events including: GE Global Research, Perkins Coie, Wedbush, and the NY Bitcoin Center. His early grasp of the unrealized potential of blockchain technology to revolutionize multiple sectors of industry led him to found the Blockchain of Things in 2014 and drive the development of the Catenis Enterprise platform. Andre graduated with honors from the State University of New York at Stonybrook, earning a B.S. in Computer Science, with concentration in artificial intelligence. A prolific inventor, he is the holder of two U.S. Patents that streamlines the installation of electronic products in automotive circuits.